Until 2014, there have only been a limited number of domain extensions available such as .com, .com.sg and .net. 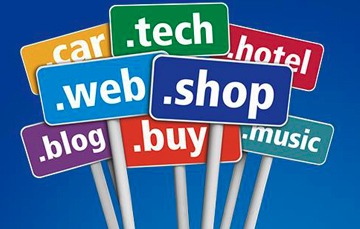 However, there are now over 800 new generic Top Level Domains (gTLDs) such as .web, .expert and .plumber. It is very likely that there will be a gTLD that closely suits your business. The new domain extensions will give you the opportunity to create memorable website names such as expert.tips or learn.music that are extremely memorable for your potential customers. You’ll now be able to position your business within a certain industry. For example, a plumbing business could potentially secure the domain quality.plumber (if it hasn’t already been registered). This domain is not only memorable, it could also have Search Engine Optimisation (SEO) benefits in the future as Google and Bing begin to place more weight on these domain extensions. If you want your visitors to know the location your business services or your office location, these domains are ideal. A local accounting firm could register abcaccounting.melbourne. Visitors have a clear understanding of where the business operates and, as with industry domains, there is good potential for SEO benefits. When registering a gTLD, the individual or organisation may need to meet certain eligibility requirements and consideration should be given to existing Trademark laws. When placing a domain name order, Host Geek does not guarantee registration of the domain. If we are unable to register your domain, the fee will be refunded to you.